The first hearing on an infrastructure bill is scheduled for Feb. 7. The committee aims to examine the cost associated with not upgrading the transportation network. Despite bipartisan agreement on the need for modernizing infrastructure across rural and urban spaces, deciding on a sustainable source of funding remains elusive for both parties. 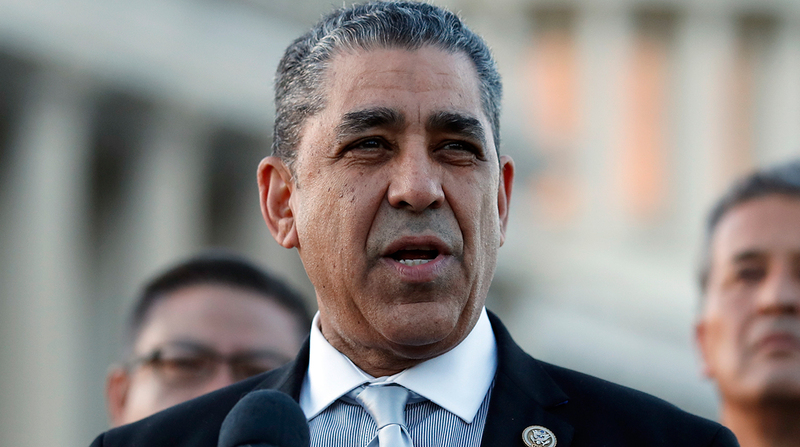 Rep. Adriano Espaillat, a two-term Democrat representing upper Manhattan and a section of the Bronx, was tapped by his party to join the T&I roster as it readies the much-anticipated bill. He is among dozens of lawmakers undecided on an ideal source of sustainable funding for infrastructure. Most policymakers shun an increase of the federal fuel tax, but public-private partnerships and charging fees for miles traveled are options generating buzz on Capitol Hill. “There’s a host of revenue proposals that I’d rather not discuss now because I want to go through each and every one of them,” Espaillat told Transport Topics on Jan. 25. The delegations from New York, New Jersey and Connecticut on Capitol Hill have expressed frustration with President Donald Trump’s administration regarding infrastructure funding. Espaillat and his tri-state area colleagues urge support for the modernization of freight corridors intersecting with Interstate 95, freight and passenger railroads, and the bridges and tunnels linking New York City with neighboring states. Espaillat also intends to remind colleagues, as well as the administration, of ongoing projects designed to enhance the aging public transit network in his district. The tunnel project known as “Gateway,” which proponents argue would improve rail connectivity along the Hudson River, also is on his list of priorities. “These are all megaprojects that will not only improve public transportation in New York City, but it’s also an opportunity to create jobs for local communities, particularly green jobs, if we’re able to go in that direction,” Espaillat said. “There is no shortage of work to be done, but I have no doubt our new and returning members are up to the challenge to meet the needs of the American people,” the chairman added. The Feb. 7 hearing will take aim at the potential cost associated with neglecting repairs to transit, freight and other connectivity structures. Democrats in control of the chamber say they want to update the five-year FAST Act of 2015 by this summer. The Highway Trust Fund, which relies on revenue from the 24.4-cents-per-gallon diesel tax and 18.4-cents-per-gallon gas tax to assist states with projects, is headed toward insolvency. Federal fuel taxes have not been increased since 1993.